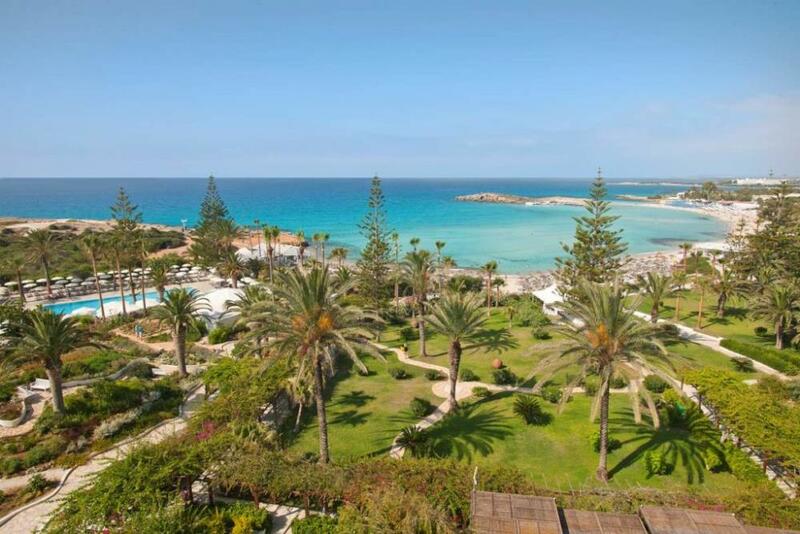 The Nissi Beach Resort is undoubtedly Ayia Napa's most established landmark overlooking one of the island's finest beaches. With a history of welcoming guests from all over the world, Nissi Beach is known to create a carefree and relaxed holiday ambiance unlike any other. You will find every amenity and comfort at the 4-star hotel of the resort, which is housed across a main building, bungalows and a two-storey Garden Wing. The facilities of the hotel are extensive and provide a host of opportunities for relaxation, leisure, activity, pampering, fine dining, entertainment and fun for all ages. Outside of the resort, the town of Ayia Napa and all it has to offer is just a moment away. The Nissi Beach is one of the island’s finest beaches, famous for soft white sands and clear waters. Overlooking this landmark, the Nissi Beach Resort embraces the unique bay and is set within its own lush, tropical gardens. The beautiful natural habitat of the resort is home to the friendly resident pelicans. The 500 meter long flawless white beach is a glorious sight to behold. The lagoon bay is safely sheltered by Nissi island. Swim, snorkel, scuba dive, sail with the gentle trade winds or simply walk along the shore listening to the sound of the waves. There is also a reserved area on the beach with sunbeds and umbrellas for hotel guests. Overlooking the bay, the swimming pool area and bar are surrounded by exotic tropical greenery providing privacy and sensational views. The colourful gardens at the Nissi Beach Resort have a great reputation. Surrounding the resort and extending right down to the sandy beach, the gardens are meticulously arranged and maintained. Take a peaceful stroll to discover the wonder of returning to nature. Share this natural haven with joyful birds and the famous pelicans. Meet the resident Nissi pelicans, these beautiful creatures have kept a long-standing friendship with us and have over the years become the hotel’s mascots. Virtually part of the property, they proudly roam the gardens, leaving their unmistakable footprints on the sandy beach. Quite familiar with our guests, these lovely creatures are always willing to pose with you for some memorable holiday shots. The management and staff of the Nissi Beach Resort look forward to welcoming you to a magical stay at the resort. A full animation programme for various ages, a Mini-Club playground, children's pool and early evening meals, most under the supervision of well-trained staff ( English and German speaking). Baby-sitting is also available on request. Early evening meals and childrens menus are also available upon request. To cater for all interests and wishes, daytime adult animation includes activities ranging from energetic to relaxing. Evening entertainment consists of live music (every night during the summer months), traditional Cypriot dancing, dance shows, and other activities. With emphasis on fresh, bright and modern interiors, our 270 recently renovated guest rooms comprise four different types, all elegantly furnished, with bath and shower, balcony or terrace, air-conditioning or heating, direct dial telephone, satellite TV, radio, safety deposit box, hair dryer, mini-bar as well as tea and coffee making facilities. 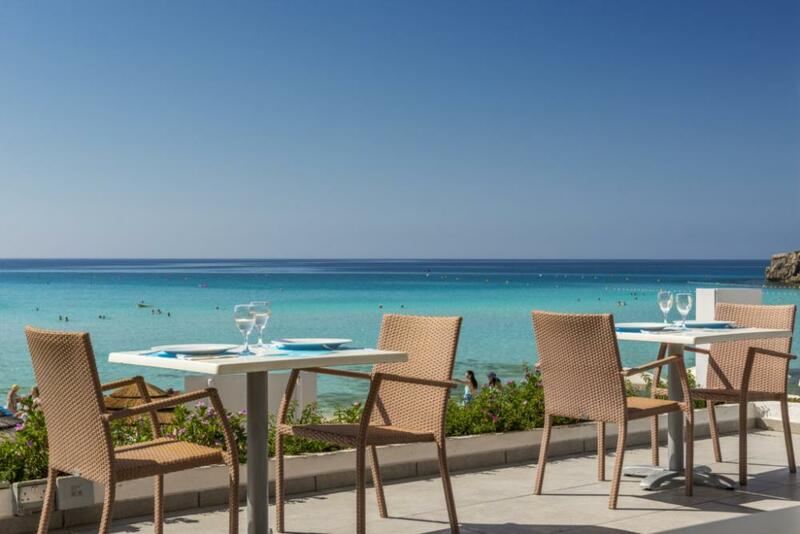 Eating out is one of the most enjoyable aspects of a holiday - especially at the Nissi Beach Hotel. Around the clock, the hotel will make sure you enjoy every meal, snack or drink, in an elegant indoor setting or under the stars. serves the finest international cuisine and theme buffets. Start the day with a hearty buffet breakfast on the veranda overlooking the exotic gardens. Full waiter service in a relaxed and pleasurable environment. overlooking the bay offers an elaborate à la carte menu with local specialities, fresh fish and international dishes in a casual seaside setting. Open during the day from April to November. operates during the day as a great place to sit under the bougainvillea and enjoy light snacks and refreshments. In the evening the Bar is the place to meet for pre-dinner drinks and nightcaps.Enjoy the exotic cocktails, live music and entertainment. the perfect retreat from the sun, serving snacks and refreshments during the day. serve a selection of refreshing drinks and light snacks in idyllic surroundings overlooking the crystal clear Mediterranean waters. 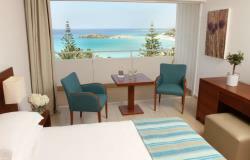 As a resort and not merely a hotel, fun, recreation, sports and entertainment are the cornerstones of Nissi Beach. From individual activities to group animation, from thrilling outdoor water sports to indoor relaxation, we make sure there is not just something for everyone, but a full range for every age group. An extensive and diverse selection of outdoor sports and activities are available: tennis, beach volleyball, mini football, mini golf, basketball, water aerobics, scuba diving, water-skiing, canoeing, windsurfing as well as professional instructions for the novice. In addition to these there are electronic games, darts, table tennis and a pool table. 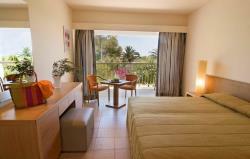 We also offer our guests free use of the sunbeds and umbrellas by the pool. 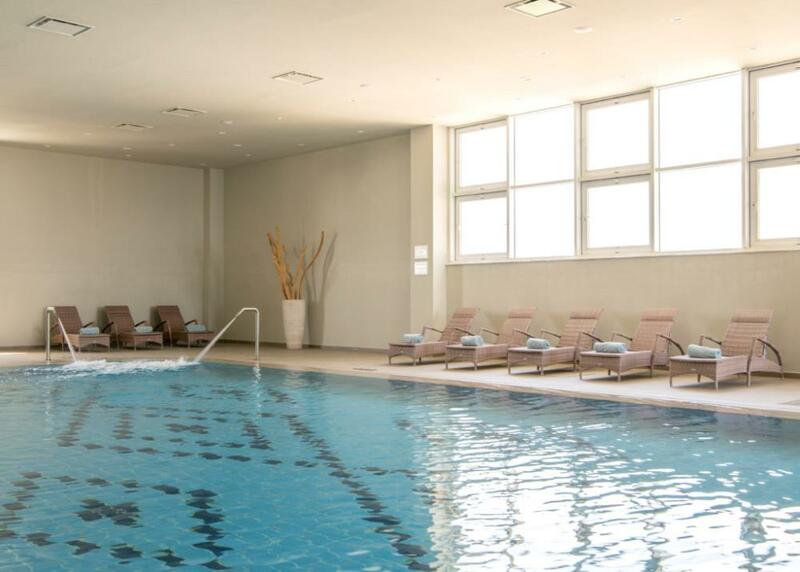 The Health Club has extensive facilities, including a heated indoor swimming pool, gym room, solarium, whirlpool, sauna and steam bath. Enjoy a relaxing massage in our beauty salon which also offers face and body treatments using Thalgo products. 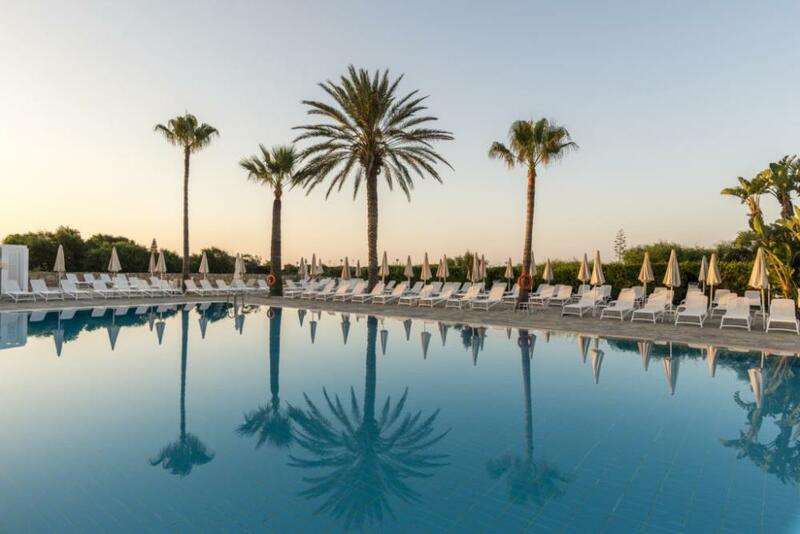 The Nissi Beach Hotel is undoubtedly Ayia Napa's most established landmark overlooking one of the island's finest beaches. With a history of welcoming guests from all over the world, Nissi Beach is known to create a carefree and relaxed holiday ambiance unlike any other. Aha facial treatment, with fruity acids for direct shine. Peels off dead cells protects the skin suffocation and helps to the elimination of marks and pigmentation. In addition the skin regains its hydration and the appearance of wrinkles is reduced. Lemon essential oils. Suitable for combination and oily skin with tendency to shine. Especially recommended for men for a clean and mat complexion. Hydrating treatment with bamboo extracts. It restore the elasticity and balances the water the skin reserves. Especially suggested as a basic treatment after sun exposure. Detoxifying treatment for all skin types, with warm chocolate fondue. Basic ingredients cocoa butter, orange oil extracts and pure chocolate (64% pure cacao). It protects the skin against external aggressions and restores its brightness. Oxygenating treatment with pure honey, apple and mandarin oil extracts. It regenerates the cells and restore the defence mechanisms of the skin. As a result, fine lines are reduced, the skin regains its elasticity, brightness and suffocation problems are reduced. Supple modelling mask with immediate effect and oligo elements that moisturizes and firms the skin. Unique care that promotes a well-being and peaceful sensation, with organic ingredients coming from all around the world. It cleanses the epidermis, nourishes, hydrates, oxygenates, protects and gives radiance. Based on actives extracted from trees known for their longevity, Anogeissus leiocarpus and Argan tree, Time Interceptor in the Bernard Cassiere expert Anti Ageing treatment. The treatment visibly decreases the depth of existing wrinkles, while reinforcing the firmness of the face and neck, and prevents the appearance of new fine lines. Compound of actives famous for their efficiency on pigmentation, Kiwi is the expert anti-pigmentation treatment of BC. Technical and efficient, this treatment reduces visibly the pigmentation while giving radiance and firmness to the skin. Basic monthly cleansing treatment, which eliminates dead cells and impurities. Products used are according to the specific skin type and their action is boost with the use of special concentrated plant extracts. "On a hurry" facial treatment that eliminates dead cells, leaving your skin clean and soft. The treatment is completed with mask, according to specific skin needs. Face care that aims to treat sensitive and reactive skins and/or fragile capillaries. It calms and softens immediately sensitivities and irritations and reduces the redness. Care of the eye contour. It attenuates dark cycles and puffy eyes, has a decongestive effect, prevents and treats the eye contour skin ageing. As it can be integrated into another treatment, you can have a complete face care in less time. Personalized treatments combining special manual techniques with laminaria sewed and aquarana for firming and slimming. Body slimming treatment with chocolate body mask and five spices slimming products. The energizing ingredients of chocolate increase the levels of fat burning. Weight loss is enhanced with the use of a heated blanket and the five spices. This treatment is beneficial for the skin tone as well as the body muscles, as it has firming effects. A special body heating mask comes to increase the qualities of wassabi, leaving your body firmed but relaxed. Body treatment for cellulite reduction. The use of dead sea seaweed and laminaria seaweed, improves the body structure, as cellulite is broken down and finally removed from the body. Body scrub with honey and sugar for gentle exfoliation. Oxygenating care that gives an immediate lightning sensation. Ideal for persons with water retention and swelling problems. It has a draining and decongestant effect and it relieves and freshens the legs. Fruity and exotic care that helps you escape from your daily routine. The beautician is able to adapt the treatment according to your skin needs and your mood at the time. At the beginning a special adapted mixing of a scrub cleanses and moisturises your skin and follows Pina Colada, Mojito or Tequila Sunrise massage nourishes, softens and protects your body. Relaxing massage with essential oils, blended to the specific customer needs. Especially recommended for stressful persons. Pressure massage to the head and eye area, using a rare Indian technique. Relaxation is the least, this massage can offer you, after an exhausting day. The tribal body care invites you to experiment new sensations. Let you go and drive through distant lands... Return to the origins of the world and discover the plants, and African, Mexican and Polynesian ancestral beauty recipes, which will help you to relax, cleanse and moisture your body. Body massage with hot stones and essential oils. The Nervous system is relaxed top to toe, helping you to get rid of muscle pain and stress. From Hawaii, traditional Lomi Lomi massage movements sweep the length of the body like a synchronized dance. Four expert hands complement and follow each other to caress and comfort your body's energy flow, resulting in the ultimate experience of the power of touch. Enjoy a voyage to internal serenity and well-being through the use of traditional Chinese medicine. The modern conference centre (15m x 22m) is equipped with all the latest audiovisual equipment and can be adapted to your specific requirements.